12 I/O pins with 25mA source/sink per I/O, 4 oscillator selections including 4 MHz RC oscillator with programmable calibration and Power-on Reset. 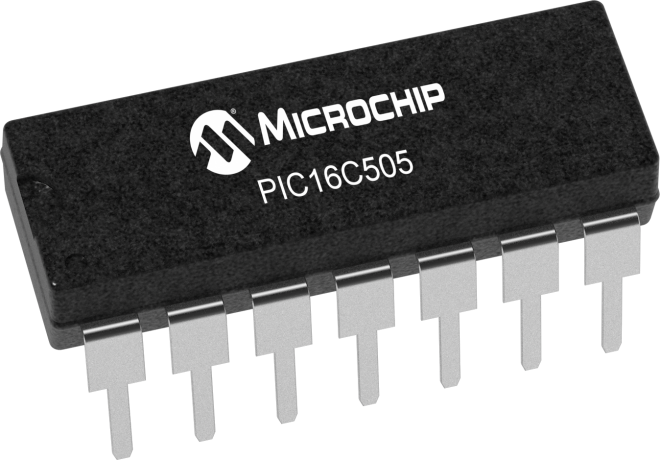 This powerful (200 nanosecond instruction execution) yet easy-to-program (only 33 single word instructions) CMOS ROM-based 8-bit microcontroller packs Microchip’s powerful PIC® architecture into a 14-pin package. Easily adapted for applications ranging from personal care appliances and security systems to low power remote transmitters/receivers.